IProtek is a distributor for FingerTec Worldwide. A leading Time Attendance and Door Access System that takes your access control seriously. FingerTec offers innovative high-performance access system that are also affordable. The products are easy to operate and are durable with little maintenance required. FingerTec, for your ultimate choice for convenience and dependability in biometrics identification systems. A leading Time Attendance and Door Access System that takes your access control seriously. FingerTec offers innovative high-performance access system that are also affordable. The products are easy to operate and are durable with little maintenance required. FingerTec, for your ultimate choice for convenience and dependability in biometrics identification systems. 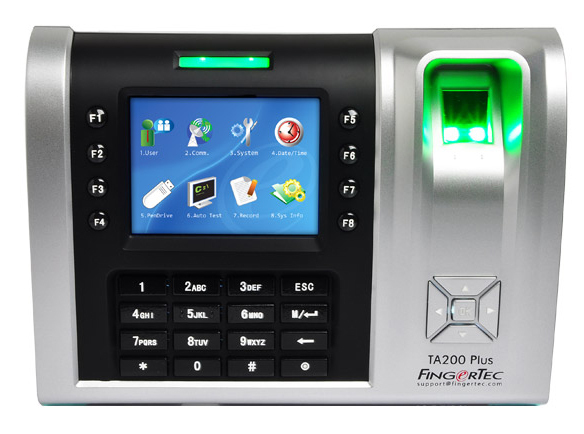 We offer Fingertec fingerprint time attendance system, Face ID Time Attendance Management system and RFID door access system for Malaysia time clock requirement. FingerTec believes that security solutions must evolve through technology, and with that confidence, it has succeeded in developing FingerTec, a new security solution that combines human elements and technology. FingerTec, the corporate trademark, combines the words ‘finger’ and ‘technology’, with the objective to becoming the generic name for fingerprinting solutions in the world’s security industry. FingerTec Fingerprint Time Attendance and Access Control System is a security solution created for two simultaneous purposes. FingerTec records time clock and time attendance of employees precisely to enable comprehensive report generation for analysis and evaluation by the employers. It controls access to areas and keeps track of every entry to provide audit trail of people accessing certain restricted areas, as well. FingerTecis the first ‘made in Malaysia’ fingerprint verification module.